The oesophagus is the first section of the gastrointestinal tract. 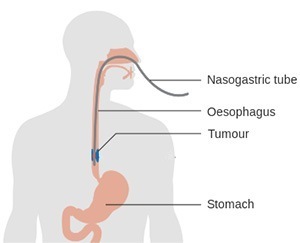 The oesophagus is a pink 20cm muscular tube that extends from the throat to the stomach. It runs down behind the windpipe and heart and in front of the heart. The oesophagus has one core function which is to transfer food, liquids, and saliva from the mouth to the stomach. Using different layers of tissue in the oesophagus (mucosa and muscle) food is moistened and pushed into the stomach. Diseases and conditions of the oesophagus and stomach require advanced diagnostics, and Dr Kuzinkovas can advise and explain effective treatment. Oesophageal cancer is cancer arising in the oesophagus. Cancers in the upper and middle part of the oesophagus tend to be squamous cell carcinomas. These develop from cells that make up the inner lining of your oesophagus. 80% of oesophageal cancer sufferers over 60 years old and most are men. Difficulty swallowing (dysphagia) - pain or a burning sensation when swallowing, or your food may stick in your throat. Acid indigestion or heartburn - indigestion when acid from the stomach goes back up (refluxes) that is persistent or last more than 3 days or if the stomach becomes inflamed or irritated. 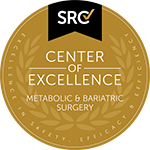 Weight loss - If swallowing pain or heartburn symptoms cause lose weight. Food coming back up - when food comes back up soon after you swallow it. Pain in your throat or behind your breastbone - You may feel pain in the centre of your chest, or more rarely in your back or shoulder. This can get worse when you swallow or have indigestion. Hoarseness - Your voice can become raspy or croaky. An endoscopy test is used to diagnose oesophageal cancer. Endoscopy involves the use of a flexible tube to examine the oesophagus. 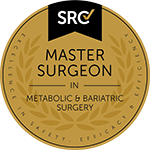 The procedure is commonly undertaken if Leppington general surgeon Dr. Kuzinkovas suspects that you have a problem and a clear image is required. The endoscope can clearly show oesophageal ulcers, cancer, inflammation or other abnormalities. Where the use of an endoscope in not an option a “barium meal” (white liquid) can be used. After absorbed oesophageal abnormalities show up when viewed by x-ray. These tests and scans help diagnose the cancer. These tests do not always answer with certainty what stage the cancer is, only after surgery can further answers be found. The stage of a cancer tells you how big it is and how far it’s spread. It helps Dr Kuzinkovas decide which treatment is needed. the grade or cell patterns under a microscope. A patient’s treatment and survival rate for oesophageal cancer is largely dependant on the cancer’s stage, Dr Kuzinkovas can advise after diagnosis and surgery. Surgery removes the cancer, sometimes along with part of the oesophagus and other affected tissue. Oesophagectomy – The affected oesophageal sections are removed, and where necessary parts of the upper stomach, lymph nodes and other tissue. The oesophagus is then reconnected to the gastrointestinal tract. leaking from the connections between the oesophagus and connecting tracts. Dr Kuzinkovas will discuss any concerns you may have before any procedure. Several tubes may be used after surgery. These can include an intravenous (IV) drip to replace your body’s fluids until you are able to drink and eat again. Oesophageal cancer surgery can be complex and may require several temporary tubes and lines for nutrition and other purpose. You will probably be taught breathing or coughing exercises to help keep your lungs clear. This is so you don’t get pneumonia, a common risk of oesophageal surgery. A typical admission is anywhere from 3 days to 7 days. Expect some pain and discomfort for several days after your operation. Tiredness, discomfort and some bowel irregularity are common complaints whilst the body repairs itself and readjusts to the new arrangement of the bowel. These feelings may last for several months. Those people in paid employment may be back at work within four weeks, but for some others it may be longer. If chemotherapy or radiotherapy treatment is necessary this can be arranged around work commitments. Most people are ready to go home 7–10 days after the operation to remove the stomach, and about 10–15 days after an oesophageal cancer operation.